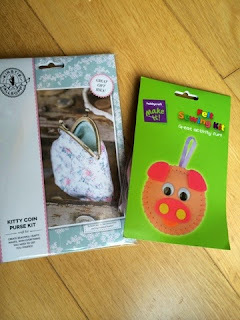 Emma in Bromley: Catching the Sewing Bug! It's no secret that I love crafts - I love getting creative and having a go at a new skill. One of the things on my list this year is to learn to use a sewing machine - it was on last years' list too but I didn't get the chance - however this year I really do think it'll be the year I conquer the sewing machine as my youngest child is due to start school in September so for the first time in 6 years I might actually find myself with some me time to do one of the things on my (rather large, mostly crafts) list! I tried to use a sewing machine in school but my sewing attempts on a simple cushion cover were rather wonky and full of over stretched patches and uneven stitches! I have a sewing machine hidden in my inlaws loft - it's from 1982 and used to be my mums - I last tried to use it about 10 years ago but I couldn't get it to work - I'm going to have another go but it's likely that my birthday hint will be swapping from a kitchenaid free standing mixer (this has been on my list for 8 years by the way!) to a sewing machine! I have to say all the current ones are smaller, lighter and can do far more than the one from the early 80's I've got waiting to try! 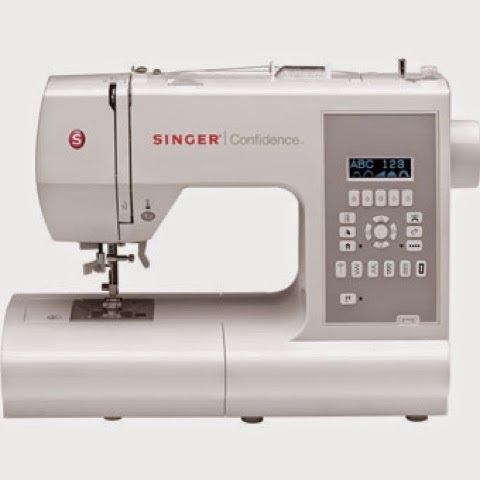 It appears I'm not alone in the sewing machine challenge - Hobbycraft (my favourite craft haven) have revealed that sewing machine sales are up 75% year on year, along with sales increases in both fabric (38% increase) and thread (13% increase). 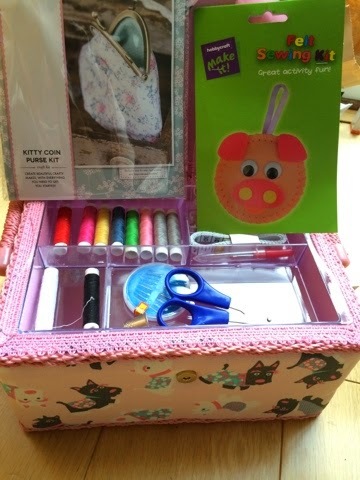 With the return of The Great British Sewing Bee (season 3 currently on the BBC) Hobbycraft are predicting they will sell a whopping 40,000 reels of cotton, 55,000 metres of fabric and 4000 sewing machines while the programme is on air! • Gwen Stefani and • Eva Longoria have both confessed to be dab hands with needles and thread. • George Clooney is rumoured to have rescued a date after her zip broke by stitching up the back of her dress. • Katie Holmes received a sewing machine for her birthday. •Julia Roberts is reported to be taking sewing lessons. • and Chris Martin enjoys sewing his own clothes stating "It gives us some control over our visual identity"
- knitting or crochet is also on my list of skills I'd like to learn - I knitted in my tweenie/teens and I've attempted crochet - I have an impressive Craft Pinboard of ideas waiting to be attempted! 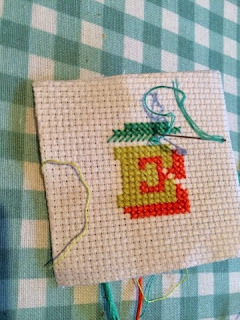 I recently picked up needle and threads and started cross stitching again - another skill I used to do in my Tweens/Teens - my mum still has some cross stitch cards I made when I was about 14 :) I'm currently making a cross stich monogram keyring ... for my mum! Ahh cross stitch is my nemesis!!! I did a big birth sampler for my son and I'm partway through a second birth sampler for number 2.... not as easy this time round!!! It will be on my blog in the next week how I'm getting on and they are the only photos I have to show off!! Rare Disease Day - Duchenne Muscular Dystrophy.